Whenever you require the highest quality aftercare and servicing for your vehicle, visit a Lancaster BMW Retailer. We have two retailers to suit all your aftersales needs in Bury St Edmunds and Milton Keynes. Call, visit us or click on one of the buttons below to make a booking, and you’ll receive tailored, manufacturer-specific advice from our team. Through decades of motoring experience, we have the expert knowledge to support you and your chosen model – and we’ll arrange the work you require at a time and date that’s appropriate for your personal schedule. 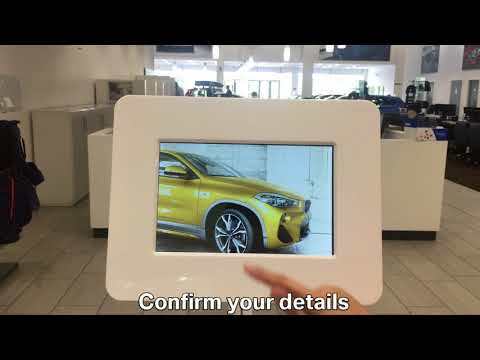 We now have our Express Check-in kiosk at BMW Milton Keynes. This means you no longer need to wait to give your keys to a Service Advisor, you simply enter your details and post your keys. Watch the video to see how it works. Alternatively, give your local dealership a call to discuss your requirements.